Weldments are typically structural sections cut size and held together by the welding process. 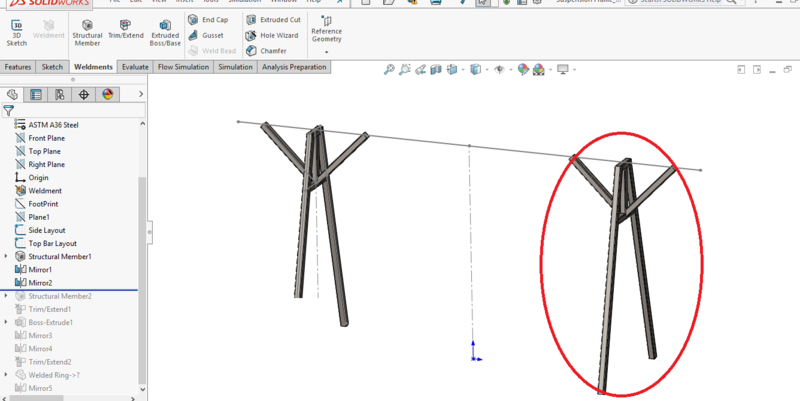 This is a very common process for structural members and parts. Let’s consider the following example of a simple frame. Weldments begin with a sketch; in this case we have a sketch on the front plane and another one on the right plane. These sketches serve as the skeleton of the frame that gives the part its overall shape. 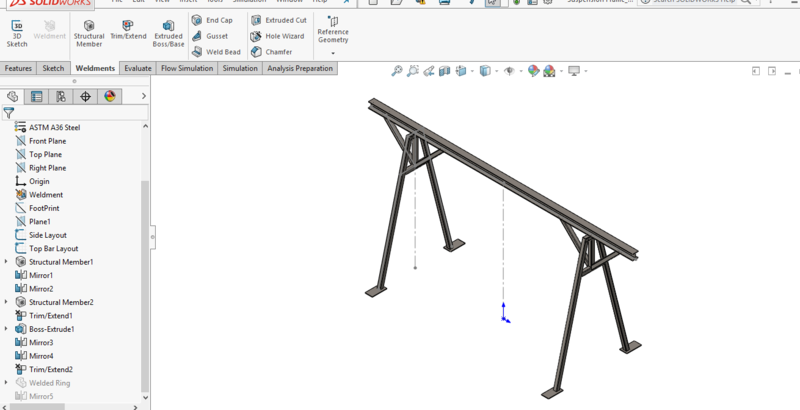 Once the sketch is complete, we’ll want to go to the Structural Member feature from the Weldment tab. Under the Structural Member properties, we want to specify the type of weldment by selecting a standard, type and size from the library. Then it is just a simple matter of selecting the lines on the sketch to apply the structural member to the frame. 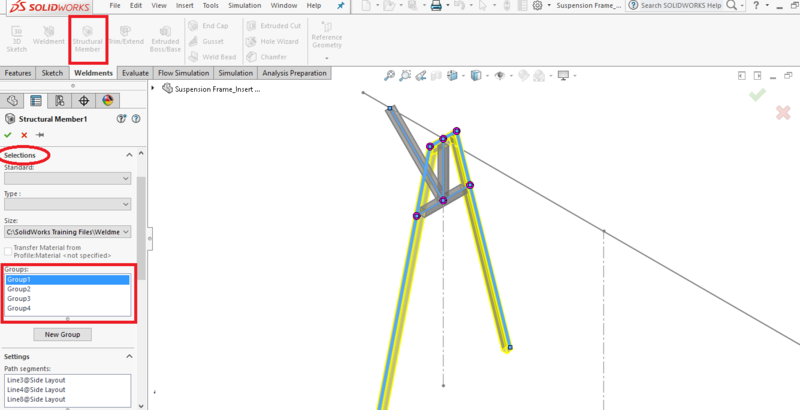 Note that the Structural Member feature allows users to adjust and rotate the profile as well as create different groups when defining a part. 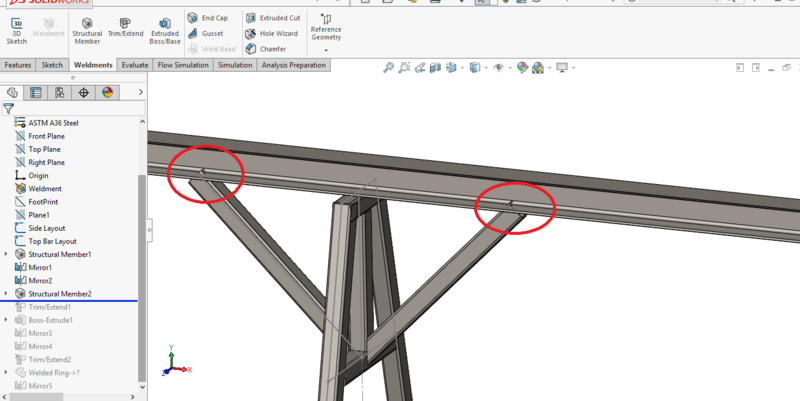 Next, the mirror function is used to mirror a brace from one side of the support to the other. Similarly, the support is mirror to the other side of the frame as well. This is taking advantage of symmetry and simplifying the modeling process. 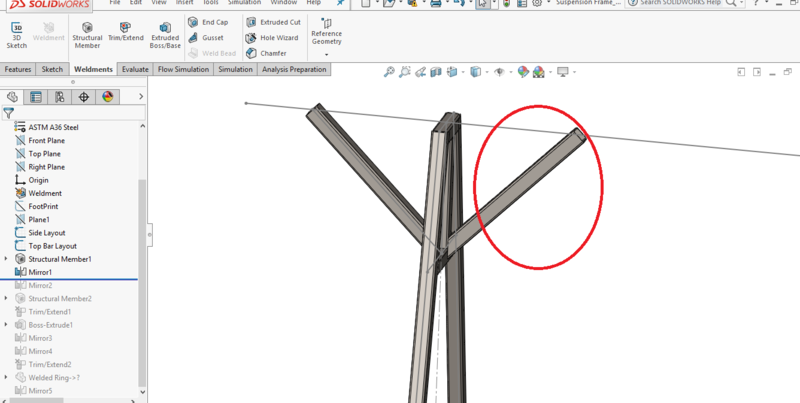 Next, a new structural member is added to the top of the frame by using the “Structural Member” Feature similar to before. However in doing so, designers may notice that the previous structural member is now in interference with the new structural member. In this case we want to use the “Trim/ Extend” feature to select the bodies to be trimmed and then follow with a trimming boundary. This feature highlights the parts that it intends to remove and the parts intended to keep before the feature is applied. Trim/ Extend ensures a perfect cut, angle, trim from one part to another. 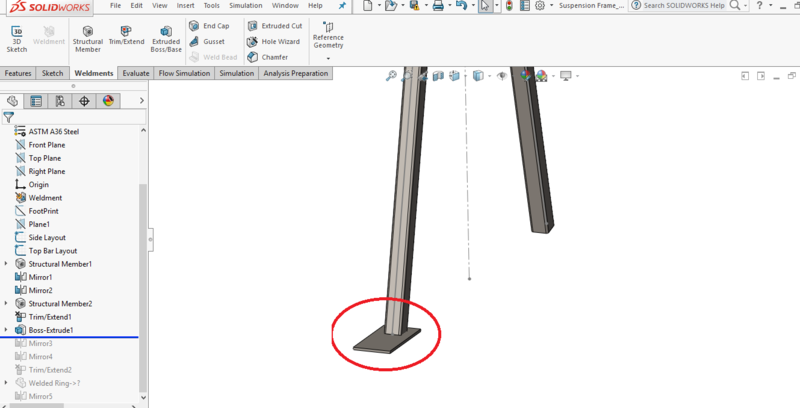 This feature is essential if users desire high accuracy in the cut angle, this is especially important for large structural sections where an incorrect cut is both time consuming and costly. Next, we sketch a small base plate on the bottom of the leg and extrude down to create a foot. The foot is mirrored twice to once again take advantage of symmetry and now we have our completed weldment frame model. 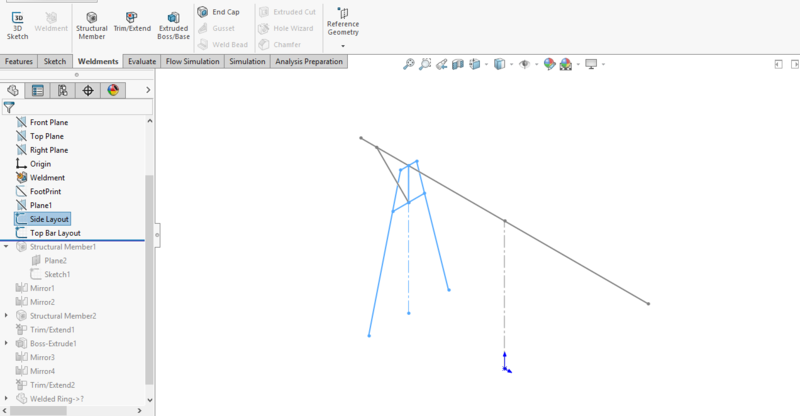 From this model, users are able to extract parts list, cut lists and more. By using the Weldments to make this part, it was modeled efficiently and quickly.